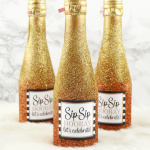 Hey guys – it's Aki here from Minted Strawberry with another project to share with you! 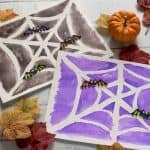 It's been feeling more and more like fall lately, and while I'm still wearing shorts (before I'm restricted to just pants and leggings again), I'm crafting up fall and Halloween-themed things already. 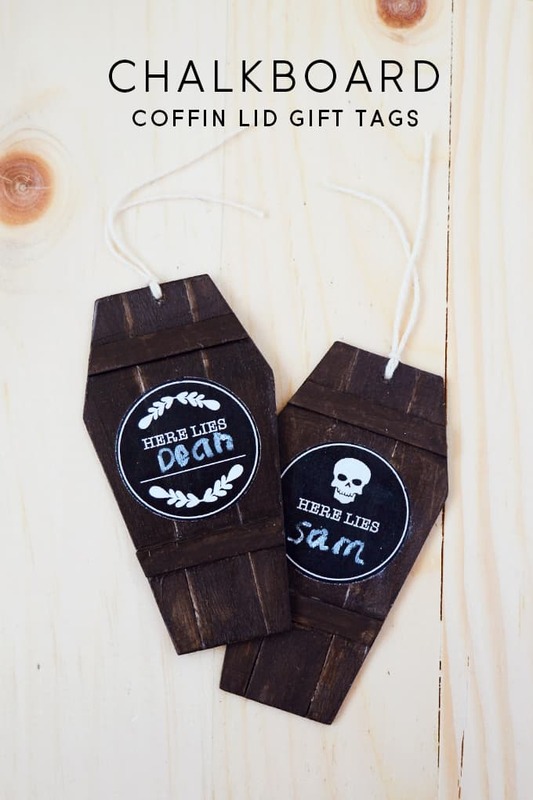 The idea for these awesome Halloween gift tags came to me while crafting up dollhouse furniture for my little sister using popsicle sticks, and I just couldn't resist making them – here's how! Step 1. 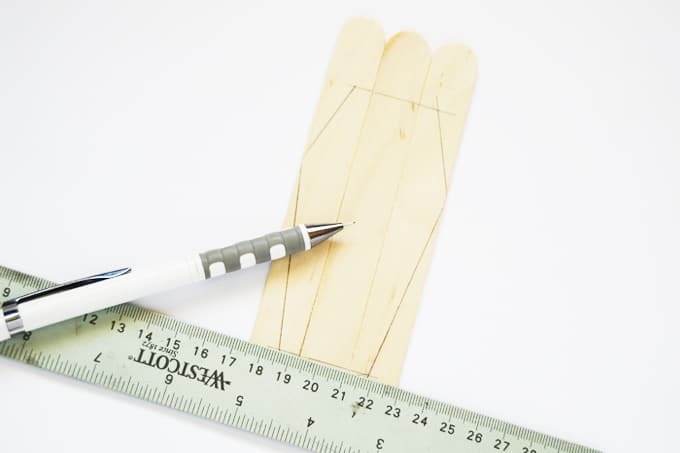 Take three popsicle sticks and line them up – if they line up perfectly, glue the edges together as in the photo. If not, keep trying until you find a trio that lines up perfectly (since some come bent). Step 2. 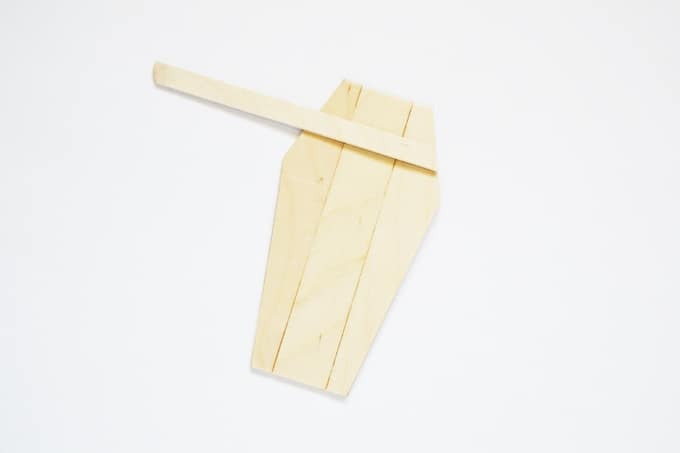 Draw a basic coffin shape with a pencil and a ruler. Step 3. 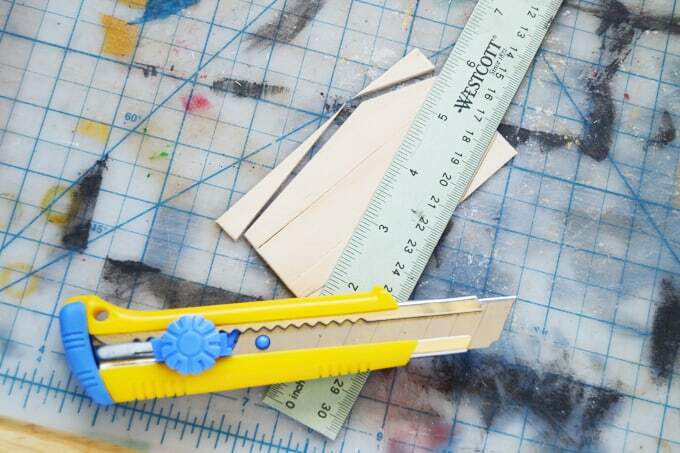 Cut the horizontal lines with a pair of scissors like in the photo below. 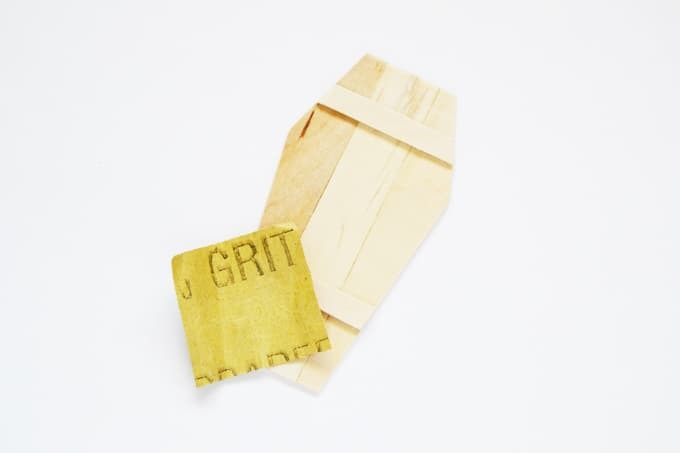 TIP: Lines perpendicular to the wood grain are easier to cut with scissors, and lines parallel to the wood grain or even in a diagonal position are easier to cut with a box cutter or craft knife. Step 4. 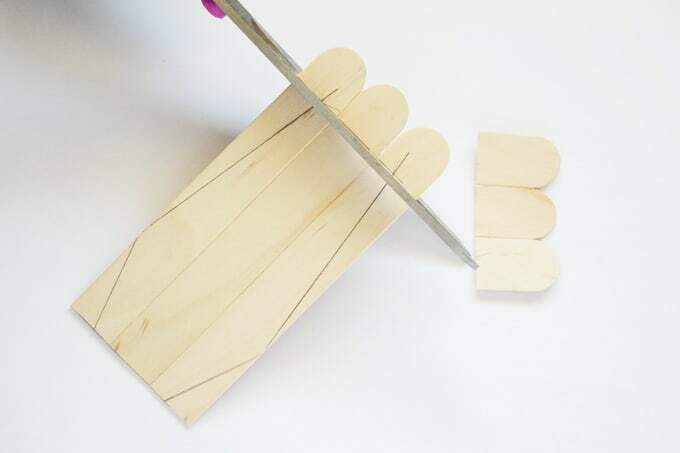 Cut the diagonal lines with a box cutter or craft knife to prevent splits (if you use scissors, you would more likely get splits on the popsicle sticks). Step 5. 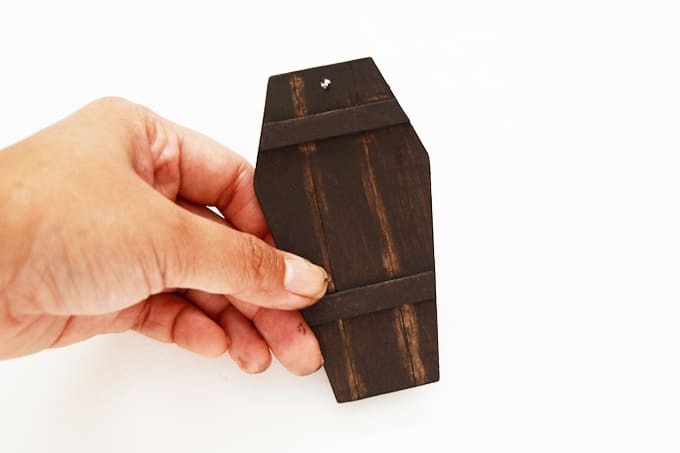 Add details – using a popsicle cut in half vertically, add plank details to your coffin. Cut off the excess with a pair of scissors. Step 6. 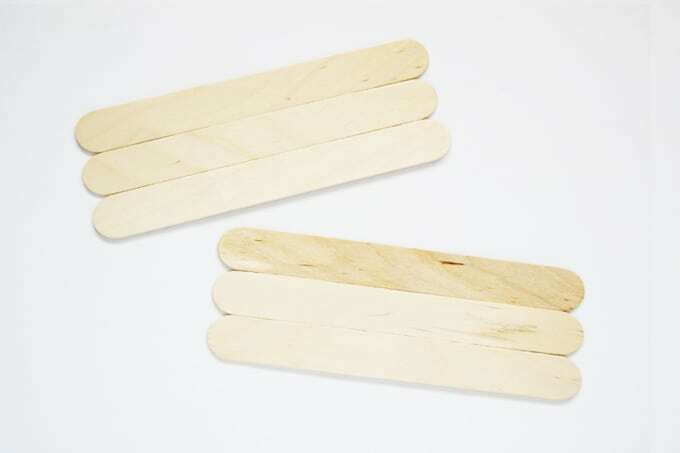 Sand down your tag, making sure to sand the excess glue from when you stuck the three main popsicle sticks together. Step 7. 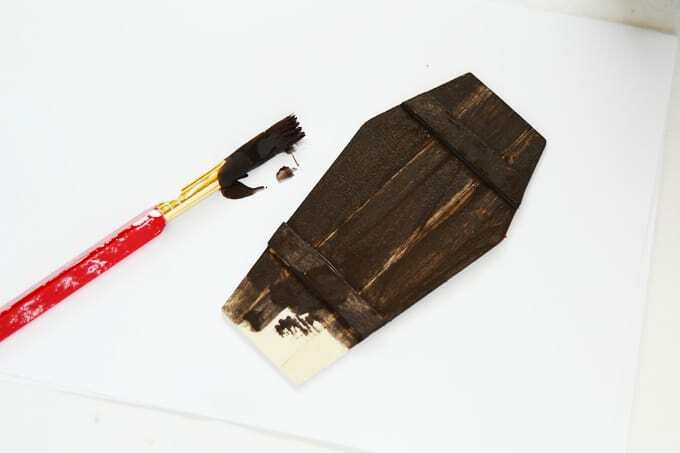 Paint your coffin lids with partially watered-down brown paint. 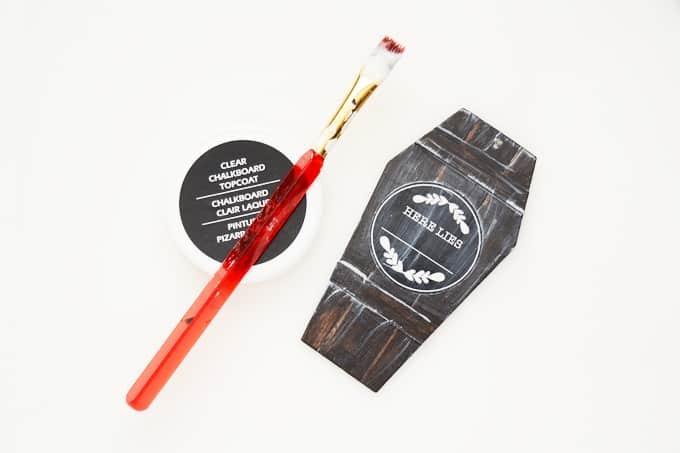 Use as many coats as you deem necessary. You want a ‘stained wood' look in the end. 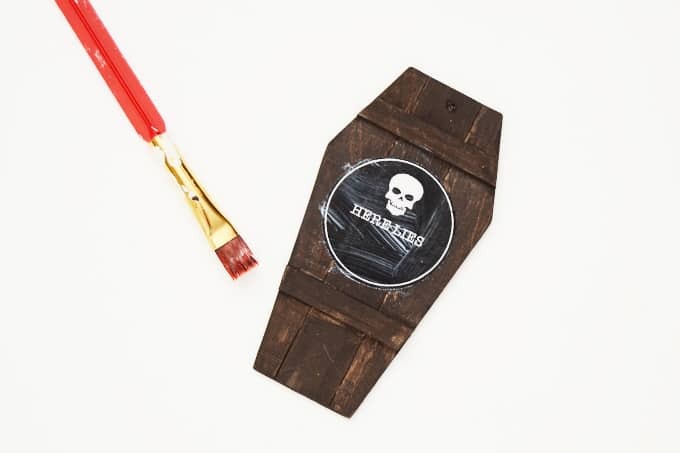 Don't worry about the areas that don't get covered by the paint (seams and areas that the glue touched) – this will give your tags a rustic, aged finish. Step 8. Drill a hole for your string – ideally you should do this before painting the piece, but it's easy to just color it in again. Make sure to carefully drill the hole to reduce popsicle stick splitting. Also, be careful and drill at least a few millimeters away from the edge. Step 9. Print and cut the labels, or make your own. Download the ones I used here. 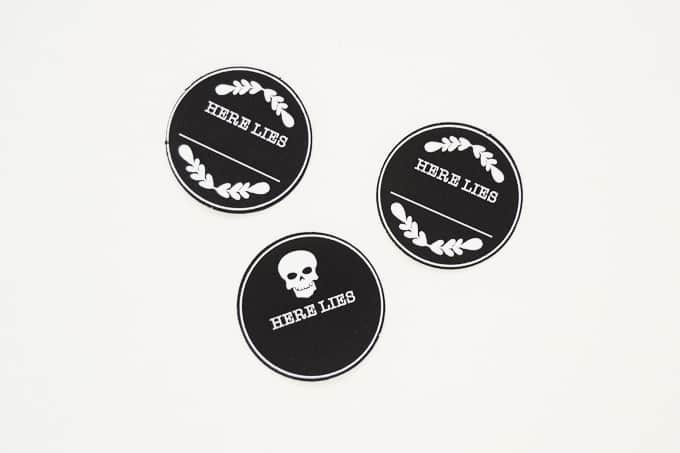 You can cut them out by hand or use a 1.5″ circle punch. Step 10. Mod Podge the label onto the front of the tag. Step 11. 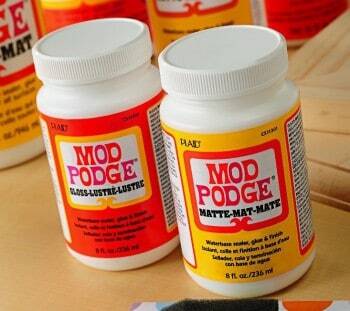 Use the Mod Podge Chalkboard Finish as a topcoat and wait to dry. 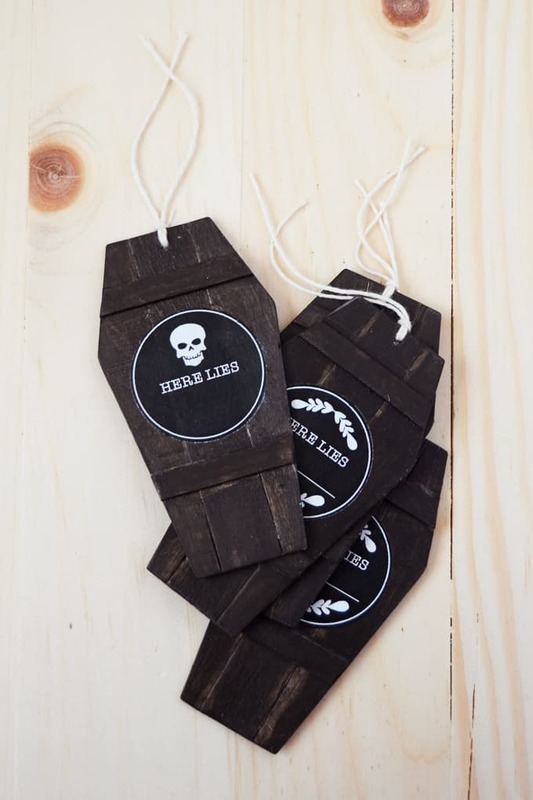 String them up with your preferred gift tag string and you are done! 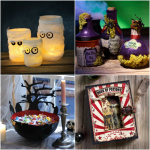 These are perfect for candy gift bags – way more fun than ordinary gift tags, don't you think? 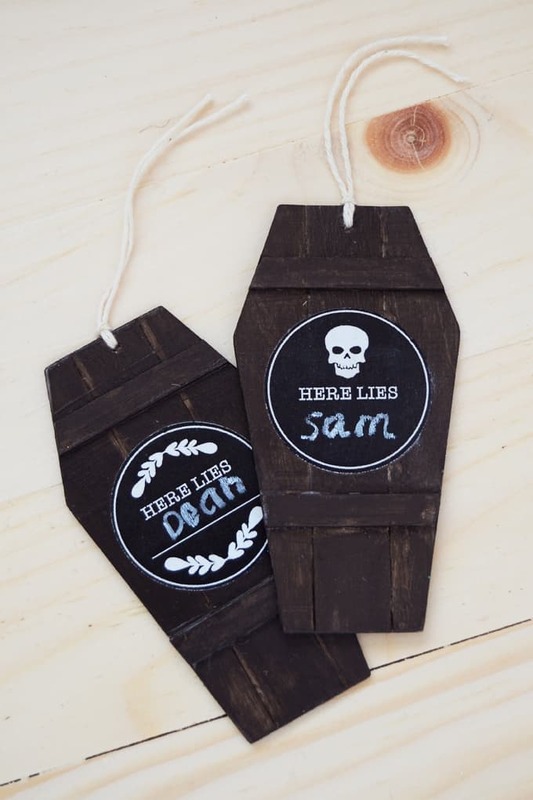 You can also use them as place setting cards! For more ideas and creative inspiration, don't forget to pop by my blog and follow me on social media! Happy crafting, friends! These are so adorably cute! You did an awesome job!